Belmont Fencing get many requests for steel fences in and around Geelong. Steel fencing is one of our more popular urban neighbourhood fencing choices for its security, strength and durability. 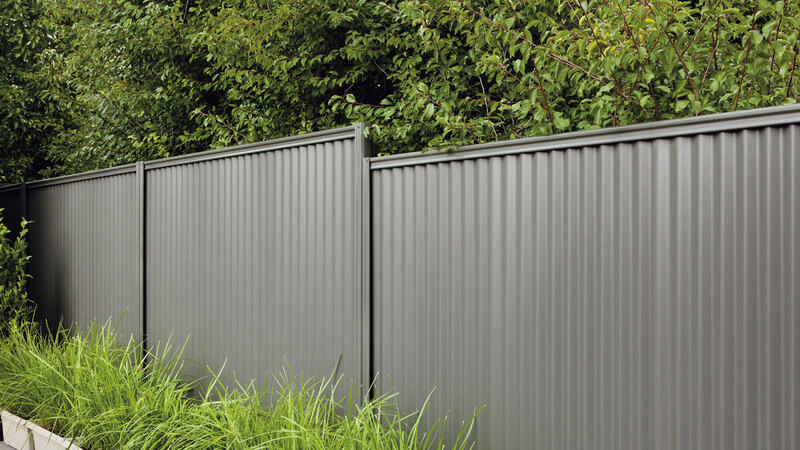 With a huge range of colour choices and design options including lattice, post caps or gates, steel fences suit most home designs from traditional to modern. Steel Fences look great from either side, so they are perfect for shared neighbour fencing. They provide enhanced security and they won’t rot, burn or be susceptible to termites. Fill out our online fencing quote or phone us on 03 5243 0281 for a measure and quote for a steel fence on your property. Other fencing alternatives with Belmont Fencing are brush fences, picket fences, heritage fences, pool fences and a host of fencing products. With our huge range, Belmont Fencing can find the right fencing alternative to suit you and your property.